Most parents work hard to provide their children with as safe a living environment as possible. When our kids are learning to crawl, we plug our electrical outlets. When they are toddlers, we put clips on our kitchen cabinet doors so they won’t have access to cleaning supplies. As they get older, we put medications and vitamins on high shelves, and lock up anything that may be dangerous to them. One danger that is difficult to deal with is “Stranger Danger.” What can you say to your children that will keep them safe from people who may want to harm them, without having them live in terror of their teachers and coaches, as well as all their relatives and neighbors? In the past, parents used scary stories such as “Hansel and Gretel” to help children understand why they should not wander away and why they should not accept candy from strangers. However, this story and most of the other original Grimm’s Fairy Tales were terrifying. Remember that in “Hansel and Gretel” the children were in the woods because they had been intentionally left their by their father. This is hardly the kind of story you want to dwell on with your children. In addition, the Grimm’s Fairy Tales are frequently so full of unlikely scenarios, such as finding a witch living in a house made of candy, that these stories are not very useful in teaching modern children who they should, and should not, avoid. One way of helping a child understand stranger danger is to read them a modern story that is meant to help them understand how to recognize a stranger without traumatizing the child. 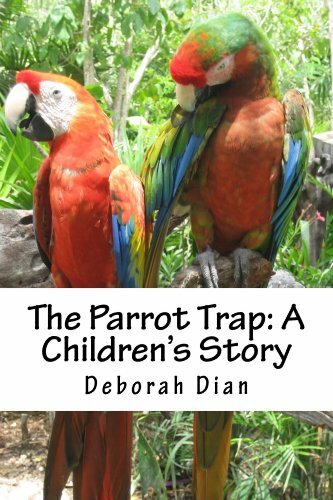 One example is the short children's book available from Amazon in paperback and Kindle formats which you can find at: “The Parrot Trap: A Children’s Story.” You may also want to talk to your local librarian about similar books that deal with the topic. Books like this will help you have an appropriate discussion with your children. However, reading your children a short story is only your first step towards teaching stranger danger. A person who offers to take your child to special events, such as sporting events, campouts, and other activities where they will be away from you, especially if there will be no other children at the outing. Although most of us do not like to be suspicious of the motives of other adults, especially if they seem kind and helpful, it is important to stay alert and be a little suspicious. You should pay particular attention if an adult who is not a parent seems overly interested in helping you and your kids. In addition, watch for changes in your child’s behavior. If they become unusually sad or depressed, and it cannot be explained by the death of a relative or pet, it may be a sign that they are being abused by someone. If necessary, get them professional counseling. You love them, no matter what happens. You want them to know they can tell you anything and they will not get in trouble. They do not have to spend time with other adults if they do not want to be left alone with them. This means you will not force your children to stay with relatives or babysitters that make them uncomfortable. Your child does not have to go into detail about why they do not want to spend time with these people. Even if their only reason seems superficial, such as the way the person smells, it could be that they do not want to tell you the real reason. In addition, children need to be taught that they have the right to tell you that they do not want to be alone with people they do not like, and you will honor their request. No one, other than the child’s parents and doctor, should ever touch them in any part of their body that would normally be covered by a swimsuit. If someone does, you want them to tell you what happened right away. If an adult makes them feel uncomfortable or threatened, they have the right to say no, call for help, scream in a public place, or run away. Even if it turns out that there really was no problem, you would rather they make a public scene than risk being hurt. You won’t get mad at them. When they are on an outing with another adult, such as a scout campout or a coach’s trip to a sporting event, your child should never go anywhere without having at least one other child with them. If they want to use the restroom or go to the concession stand, they should take a friend along so that they do not appear to be alone. In fact, they should take along a friend even if one of the adults comes with them, too. Remind them that bad people don’t look crazy, strange or scary. They don’t even have to be strangers. Sometimes they might be a family friend. Your children should always let you know if something happens that confuses them or makes them uncomfortable. Finally, parents need to remember that this is not a topic you can cover with your children once, and then forget. Like other life lessons, children need to be reminded of this information at least once a year. You may choose a time of year that seems especially appropriate, and have this discussion at the same time each year. For example, you may want to talk about stranger danger at the start of the school year, at the beginning of the sports season, or when they are about to leave for summer camp. As they get older, they may roll their eyes when you bring up the topic, but it is important to at least mention it to them on a regular basis. In addition, as they get older you may want to tell them that dangerous strangers can also be the people they “meet” on the internet. Order "The Parrot Trap: A Children's Story"
Tells the story of two children, alone at an amusement park, who are befriended by a friendly blonde woman who wants one of them to come to her car to see her pet parrot. Is she nice ... or is she a danger? 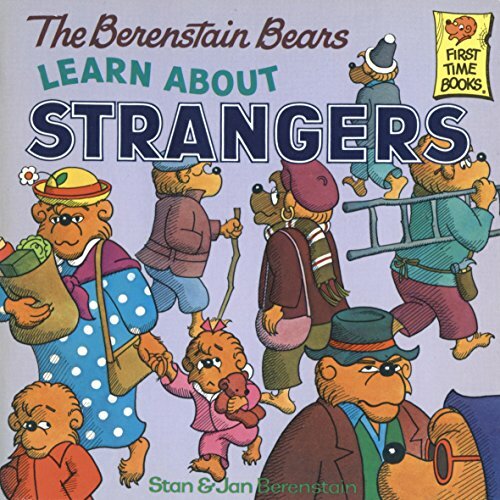 A book to help you explain Stranger Danger to young children. Let the Berenstain Bears Help, too! Even bears have to worry about strangers! A really excellent and focused discussion on this topic. I saw a TV show recently where parents who had talked to their children about stranger danger, instantly forgot everything they were taught when a stranger offered them free ice cream. The parents were shocked that their child followed the stranger after being aware of the risks. This article needs to be shared. Thank you Divaonline. I agree that it is shocking how quickly children forget everything they have been taught about stranger danger. It is an issue that parents need to mention repeatedly, and explain in a variety of ways. I tell every parent that comes through my office to talk about stranger danger. I worry about some kids because they are so uninhibited with me, I and scared they are like this in the "outside world." I fear they will be abused. Thank you for writing this article. I am so glad that you remind parents of stranger danger. I always hate to hear of a child who has been abducted ... and attempts are made all the time. I heard of one attempt just today here in Los Angeles. I agree that you can never be too careful in protecting your children. We also need to teach them how to keep themselves safe!